You could go days without food or water. Maybe not comfortably. But you’d live. Not so with oxygen. Even just 3 minutes of deprivation starts killing brain cells. Your brain, in fact, is the biggest user of oxygen, consuming about 20% of the more than 400 liters of the stuff you inhale each and every day. For one, it’s critical to your body’s ability to generate energy in the form of ATP. This molecule is formed mainly in the mitochondria of your cells, and it’s what transports chemical energy within your cells. Without it, cells die. No oxygen, no ATP. It’s that simple. 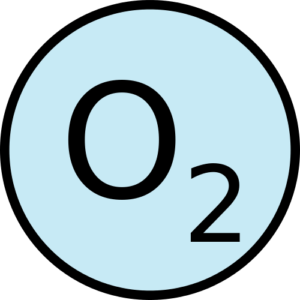 Insufficient oxygen also means a more acidic environment in the body – a condition that fuels chronic inflammation and all manner of ills that arise from it. Think heart disease. Think stroke. Think rheumatoid arthritis. Think cancer. And it means that many pathogens – harmful bacteria and other microbes – can flourish, since these bad bugs tend to be anaerobic (flourishing in the absence of oxygen). This is one reason why ozone therapies can be so helpful: the flood of super-charged oxygen decimates pathogens.